Jayanthi Rangarao moved to the Triangle area 25 years ago with her husband and 2 daughters. 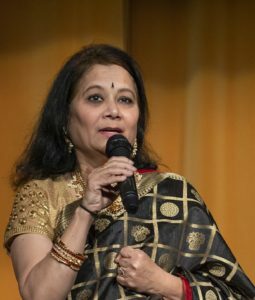 She is a Founding Member of the Tamil Cultural Association, for which she also served as President and Cultural Coordinator for two terms. Throughout the years, she has volunteered heavily with the HSNC, SV Temple, and other community organizations. She has organized numerous fundraisers and cultural shows. In her leisure time, she enjoys choreographing dance performances and participating in programs throughout the Triangle. class="pirenko_team_member-template-default single single-pirenko_team_member postid-3128 samba_theme samba_left_nav samba_left_align samba_responsive ecwd-theme-samba wpb-js-composer js-comp-ver-5.4.5 vc_responsive"